Hello, We're Chuck & Larry: Spider monkeys, former pets. We live at a sanctuary in South Africa. 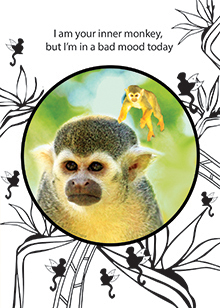 "I am your inner monkey, but I'm in a bad mood today"